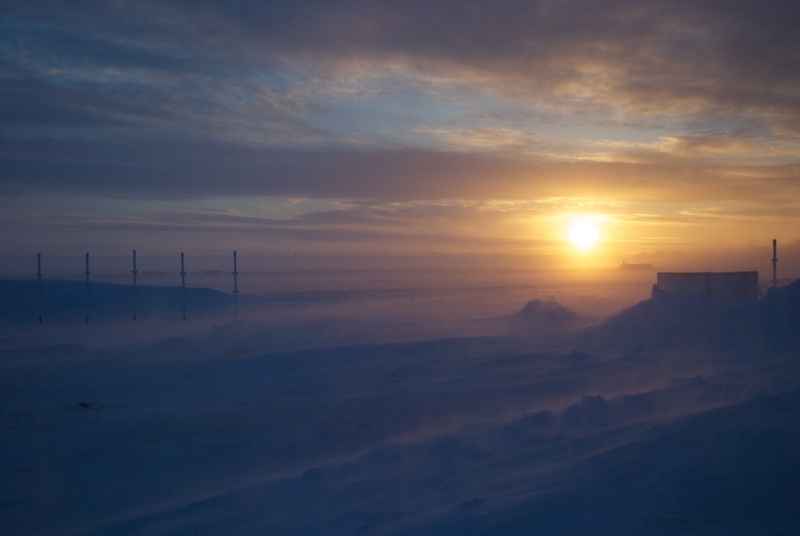 The wind had died down and this was the view as I was heading out of the BARC science facility towards my hut. I just thought it looked pretty cool and I liked the colors. You may notice the snow drifting across the road and there wasn't any evidence of the other vehicles that have been through here today including the large loader that made the snow pile on the right. In fact, it may be difficult to clearly identify the road from the concealed ditches. Hopefully the wind doesn't pick up again until after I fly out tomorrow evening. I needed to get up here to Barrow to get a few things started before the groups start arriving. After the 737 Combi (passengers + freight) landed in Barrow, I had second thoughts on whether I really needed to come up here due to the temperature and accompanying wind. The 40 mph wind moving very cold air really cuts through any kind of winter gear you may have. 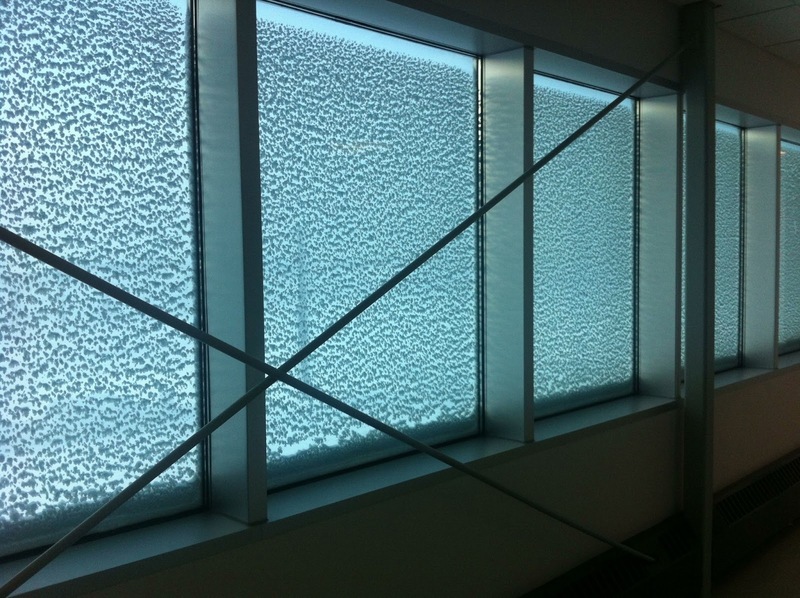 These are north facing windows at the BARC facility with a lot of windblown snow sticking to the glass. No outdoor pictures today due to the wind. Yesterday evening, I could barely see anything beyond the hood of the truck. On the road from the facility towards the rest of the NARL campus, I would be stopping every 50 ft or so to check on where the edges of the road were. Today, I won't make that mistake again and left while there is still some daylight. By the way, sunrise was at 9:32 today and sunset isn't until 6:00 tonight. Daylight is returning quickly though there is still very little thermal gain from the sun. That won't come until later. I had set up a controller based wireless system to support the BARC and shortly after I had installed it, the vendor sold that portion of the company so, technical support is no longer available. I figured out how to get multicast running between the wired and wireless networks so Bonjour is now available over wireless. Bonjour was needed to provide some often requested capabilities. Airprint, zero-configuration printing for your Apple iDevice and an Apple TV in the conference room to simplify communication to the projector. The Lantronix xPrintServer works as well as I've heard and I now have the legacy network printers accesible to all of the iDevice users. But it did take the better part of a day to figure out why multicast wasn't working between the wired and wireless parts of the network. (Bonjour and IPv6 both require link-local multicast) It turned out to be a barely documented "feature" of the wireless controller. To bring a little bit of moto content into the post, I finally watched One Crazy Ride, a film by Gauruv Jani about a small group of riders traveling across the north eastern Indian state of Arunachal Pradesh to see if it was even possible. They are all riding overloaded Royal Enfield motorcycles with no support or chase vehicles. I've had the video for quite a while but have never watched it before. It was pretty good and most of it is in English and he has some other videos out that I want to try and find. I ran into this video of this Jay Leno's Garage featuring Cozy sidecars mounted on Royal Enfield Bullets. 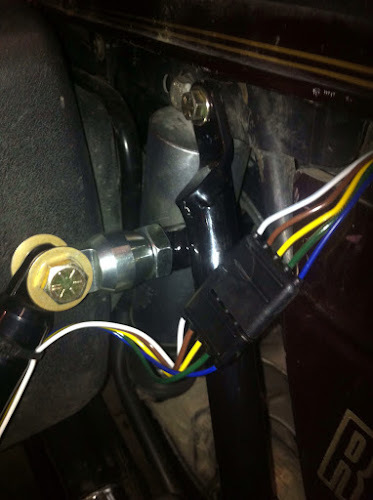 I found the link in the hack forum within ADVrider. They even make a point out the same address oddity on the name plate. 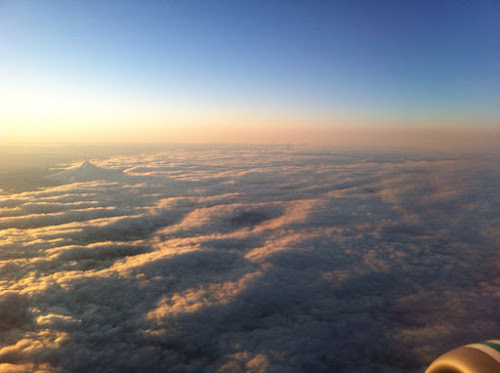 On Saturday evening, I was sitting at the airport getting ready to head to Iowa City, IA. I haven't been to Iowa since I was around twelve years old when we passed through on the way to Minnesota. This was the view out of the window on Sunday morning on the way out of Portland heading east. 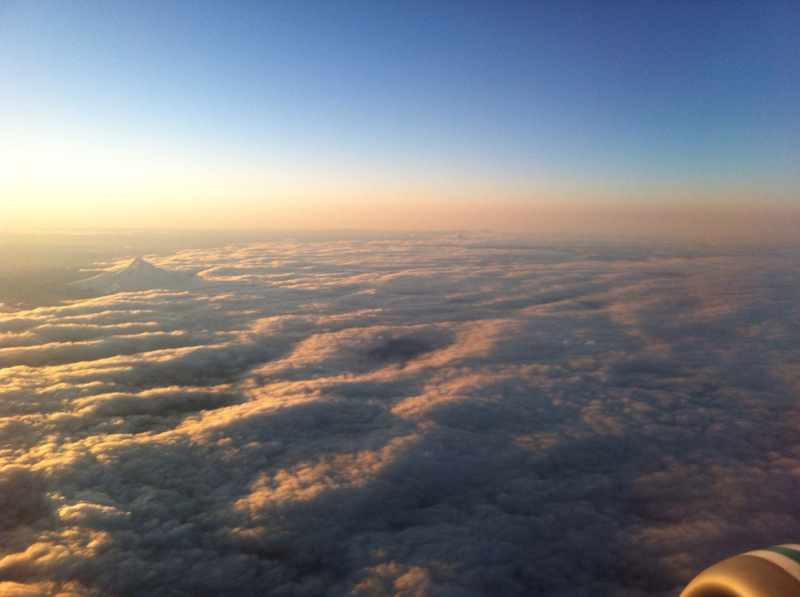 I really liked this view but after sitting in a plane all night, I really wasn't feeling up to enjoying the view. The trip from Fairbanks to Iowa City ended up being five legs. Fairbanks to Anchorage, Anchorage to Portland, Portland to Chicago, Chicago to Cedar Rapids, then a shuttle from Cedar Rapids to Iowa City. Lots of flights but no real issues and I was fortunate to get upgraded all the way to Chicago. 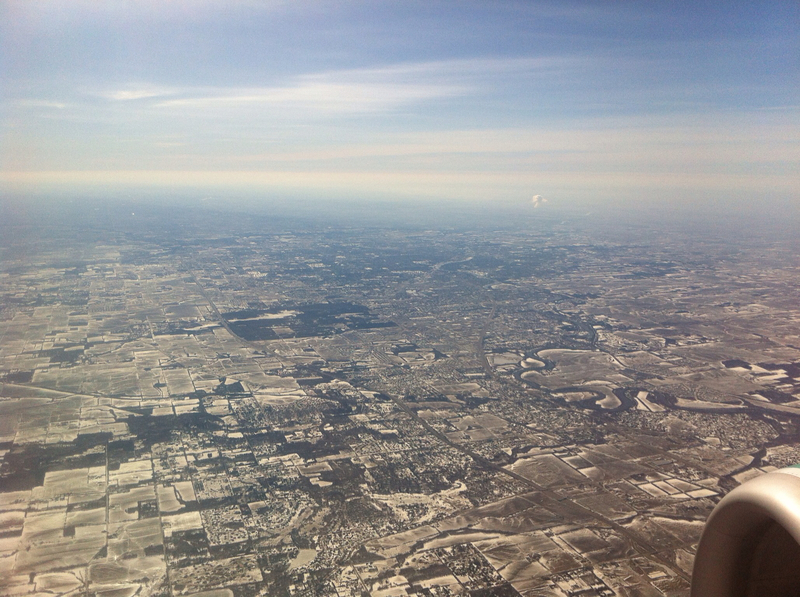 This is the view coming into Chicago. Not much to see. 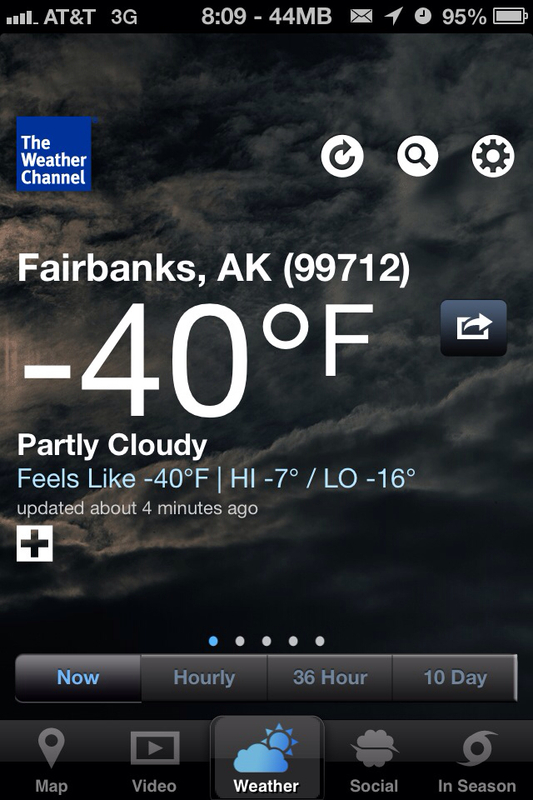 Here's how I know that I'm no longer in Alaska. This is one of the displays in the Cedar Rapids airport. 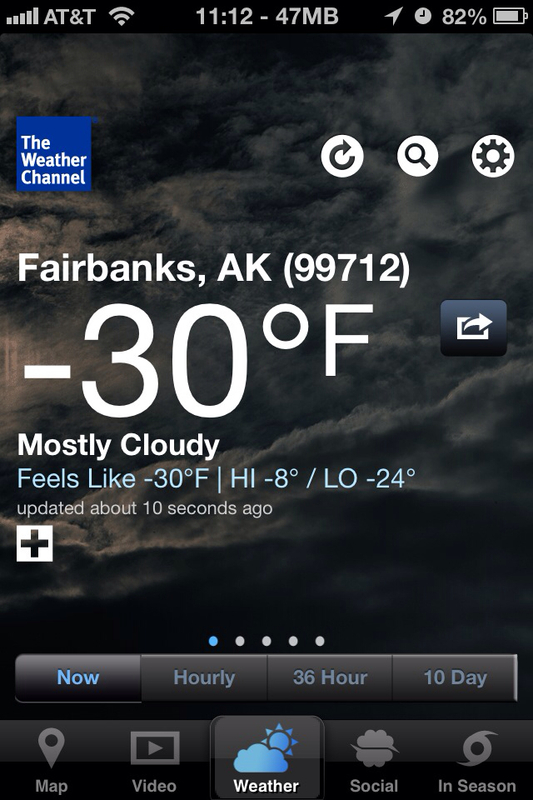 In Fairbanks, this would have been snow machines, four wheelers and boats. 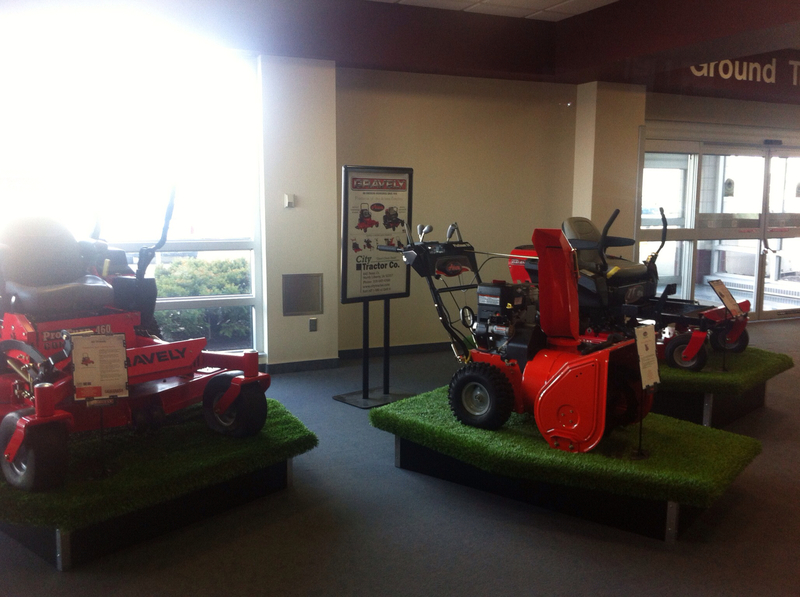 Here, small tractors and lawn mowers. 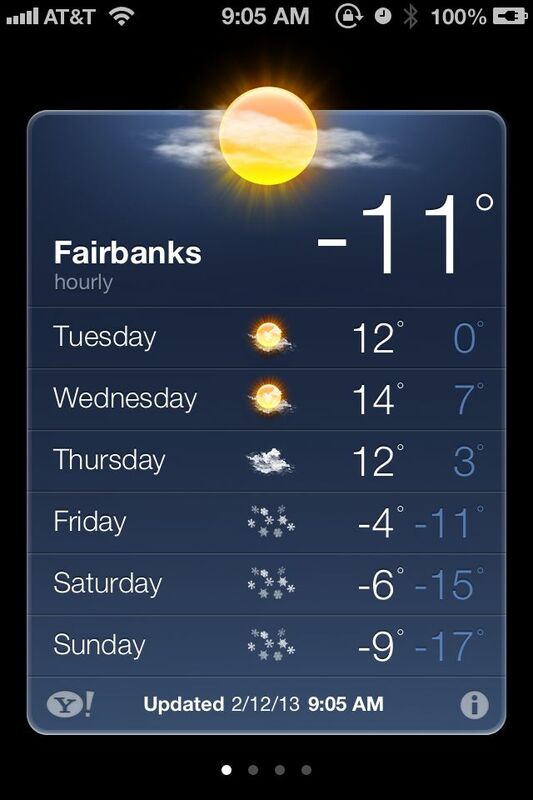 After looking at todays weather back home, I think that I'm better where I am right now. Even with the rain, sleet and snow. 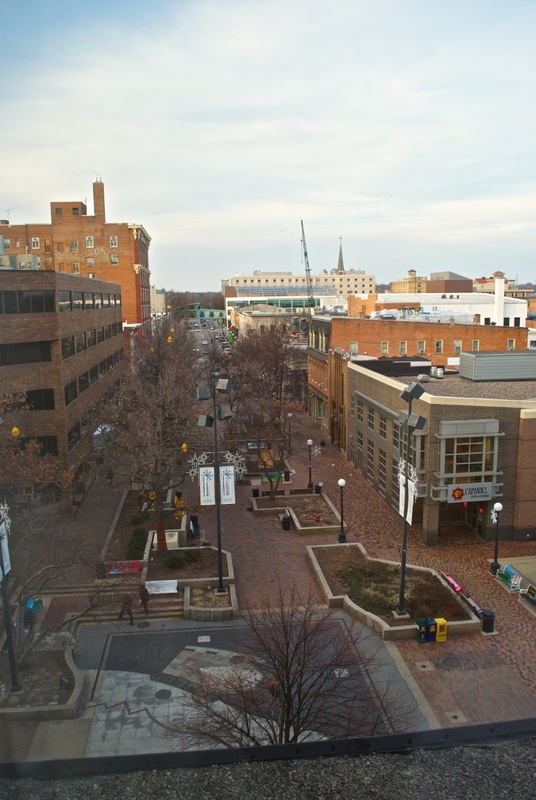 There are about 30,000 students at this campus and is located in the middle of Iowa City. Like many other states, I still get the two systems confused. I am at the University of Iowa as opposed to Iowa State University. I am here attending the Northern Tier Network Consortium steering committee meeting. This is an example of how embedded the university is within the City. We are meeting in a shopping mall where there are still quite a few businesses and university departments essentially have storefronts. University buildings are all around the hotel and this mini-shopping area. So far, I haven't seen a single corn field. That is what I remember from my last visit to IA almost 40 years ago. The picture was taken yesterday afternoon shortly after arriving at the hotel. This afternoon, we were given a break from the all day meeting and visited the new data center for the University of Iowa IT group and the medical center. This is just the IT side of the facility. It's a pretty impressive facility. I believe that it is brand new and they are still in the process of moving in. 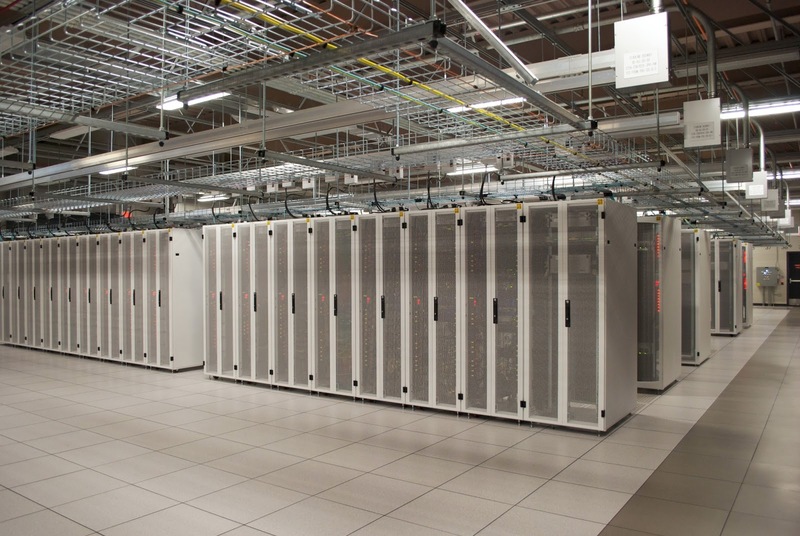 The existing data centers on campus barely survived flooding recently and that may have been one of the drivers getting this facility moved up in priority with the legislature. Another participant noted how many "100 year" have occurred recently. Storm, flood, hurricane, tornado, and now maybe we should add meteor to the list. Though that may be in the "thousand year" category. Apparently, there is record of a huge meteor strike in this area but I don't have a reference but evidence of the crater was discovered from drill logs and extends all the way into South Dakota. It really is great to meet with colleagues from other universities around the country and Internet2. 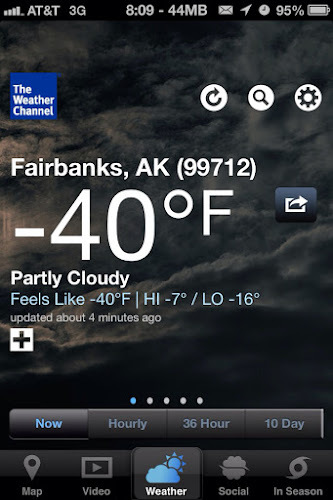 Tuesday Morning Update - It's not looking better today back home. Even here in Iowa City, it was 0°F this morning. I originally posted this as a comment but thought that it was worthy of a short post (without any pictures). Interesting engine behavior today. Last night, I connected a regular charger to the battery with the thought that maybe the trickle charger was unable to fully charge the battery. It was -19°F this morning so I moved the bike out of the garage to let it get cold soaked then try to restart. I was trying to debug the sluggish cranking. It started just fine first thing in the garage and I think the starter spun the engine significantly faster than normal. I left the bike outside for 5 hours to get thoroughly cold. Went out to start it and it cranked nice and fast just like it did earlier in the morning and would start and run for a few seconds then die. But would restart almost immediately and do the same thing. This sequence repeated itself about ten times. 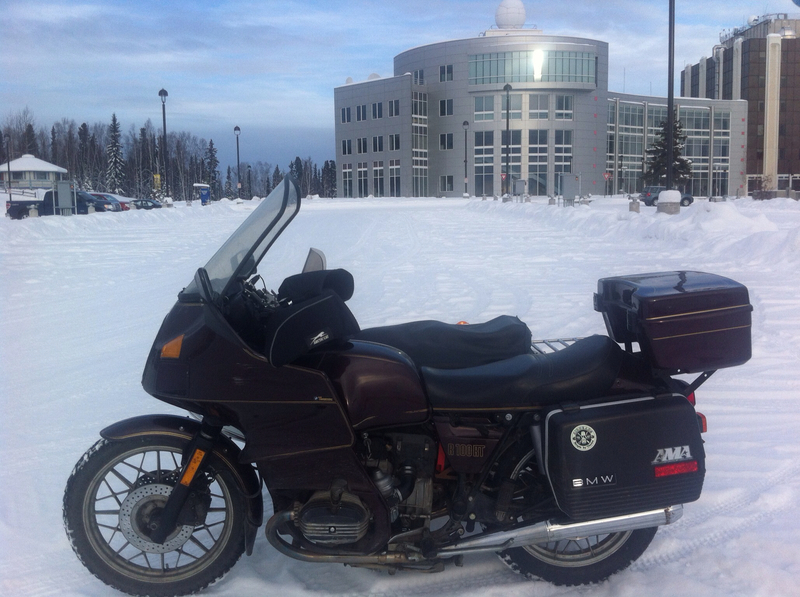 It eventually idled and I let it warm up a bit while getting geared up. Lots or restarts and each time the engine spun easily. When heading up our driveway, the engine would start to sputter as if out of fuel by the time I reached the top of the driveway but after coasting back down, it would restart immediately. After this happened a few times I stopped, parked the rig, and thought about what could be causing the problem. It really felt like a fuel problem, maybe water in the gas? Since the rig has been moved in and out of the garage many times over the last month, condensation building up in the tank is a very real possibility. Especially since the air in the garage is fairly humid. I added some Heet to the gas left in the tank and added another gallon of gas from a plastic jug to help mix the Heet with the fuel in the tank then emptied both fuel bowls. After a bit, I tried again and the engine started and I easily drove out the driveway. I drove around the subdivision hills a few times probably aggravating a few neighbors, the headed out on the road. Twenty miles of wandering around Fairbanks and the engine ran very smooth the whole time, just like normal. No hint of stumbling and I was able to restart the engine several times. I was careful to not shut the engine off unless I was near the top of a long downhill section, just in case. The road was extremely slick with yesterdays snowfall on top of ice and I could feel the rear tire break free more than once. Possibly water in the gas or water in the carb bowls? And as far as cranking, the charging system may not be able to completely charge the battery on my short commute and the battery tender may not be charging the battery if its down to far. This fits with what the manufacture says about the battery tender that it is not designed to recharge a battery. Any thoughts? No opportunity for more testing for a couple of days as I'm sitting in the airport writing this on my way to Iowa State for a Northern Tier meeting. I've never been to Iowa State before so looking forward to somewhere new. 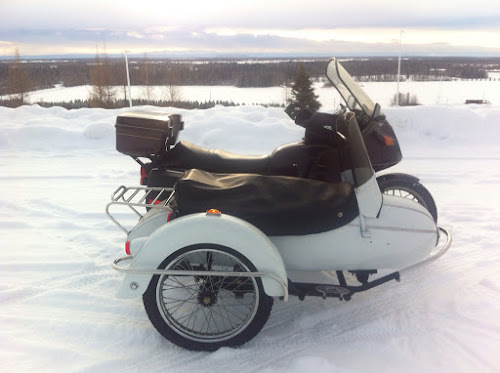 This evening, I put on two of three manufactuer logo plates onto the sidecar. The previous owner probably removed them when he had the tub painted. It's a bit difficult to read but the address on the plate for Cozy India is "5, Hansra Lane, Near Police Station, Byculla, Mumbai-400 027". I couldn't get a location when I entered it into Google Maps. Maybe Google didn't like the "Near Police Station" part of the address. I think that the address is rather interesting if nothing else. 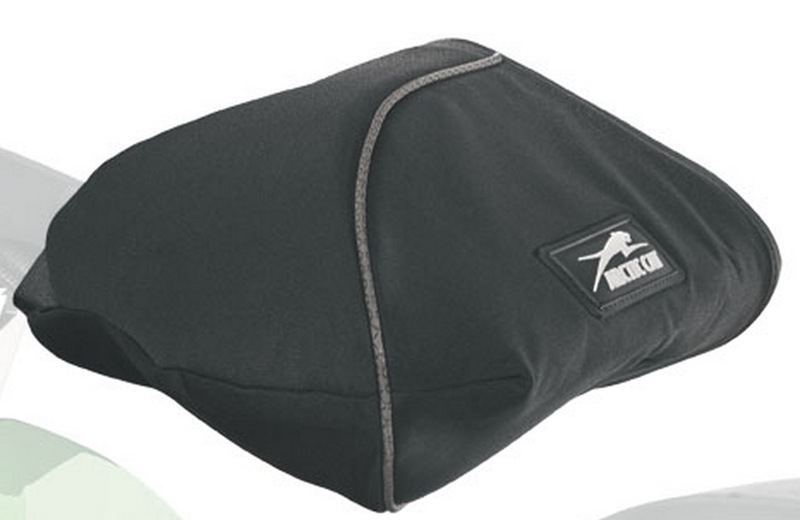 I ordered a couple of silicone heat pads today that I think I can fit on the bike. They are 1"x5" @25 watts and 2"x5" @50 watts. There are flat, smooth areas free of fins on the side of the oil pan as well as on the side of the engine under the cylinders. I think that the smaller pad would easily fit in either location. 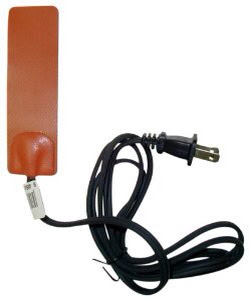 The other location for a heat pad is under the battery. I don't want to "cook" the battery with too much heat and I was thinking about mounting the heat pad to the battery mounting plate. I have been using similar pads for years on engine and transmission oil pans but all of them hold a lot more oil and I'm rarely concerned about the appearance under the vehicle. But these would be a lot more visible. If it's at least 0°F tomorrow morning, I think I'll ride in again. 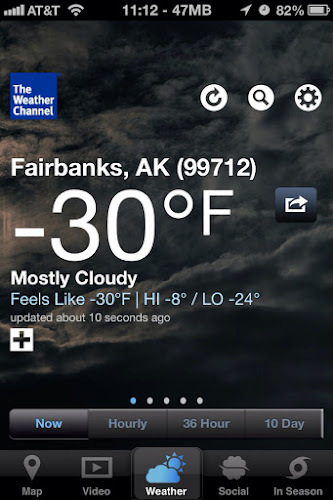 Today would've been a great day as it was almost 20°F by late afternoon. Charlie6 and SonjaM mentioned in a comment on my last post to maybe post some additional shots of the rig taken at other angles. I must admit that most of my photos have been showing details like the lights or the sidecar mounts. On Sunday afternoon, I headed up to the West Ridge parking lot at the university as I figured that it should be pretty empty and there would be plenty of daylight. I have all of the cases mounted on the bike but they are mostly empty. I was pleased that the right case lid still opened enough for it to be useful and, in fact, opens almost all the way before hitting the sidecar frame. I just mounted the top box on Friday on the Reynolds rack that I had picked up on Ebay almost five years ago. I haven't been able to use the rack since it required different side case mounts. The rack has two positions forward and back. The back position allows the seat to be opened and when it's forward, the case is positioned over the rear cowling even more forward than last summer when I had the box mounted to the seat pan. I found a parts place online that had a used set of the proper case mounts and installed the rack on at the end of last Summer. 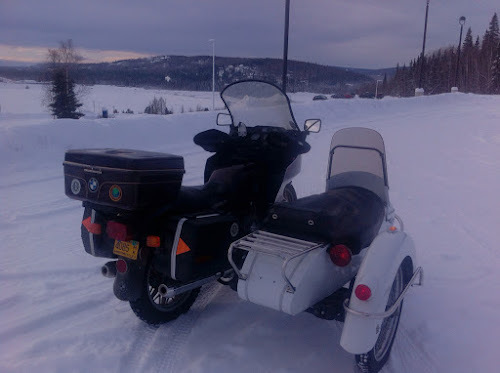 Maybe I should look at installing the top box on the sidecar rack. After all, more weight there would be fine, I think. 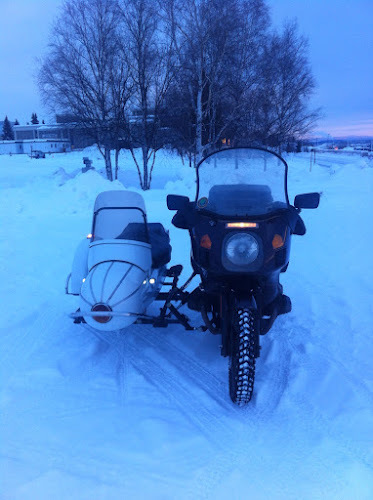 After seeing this shot, I noticed that the nose of the sidecar is down. Since I didn't check the alignment after removing and re-installing the sidecar, I didn't catch this earlier. I raised up the front and rechecked the toe-in and lean. The toe-in is 5/8" and the lean out is still 1°. But of course this now requires additional "test" rides. 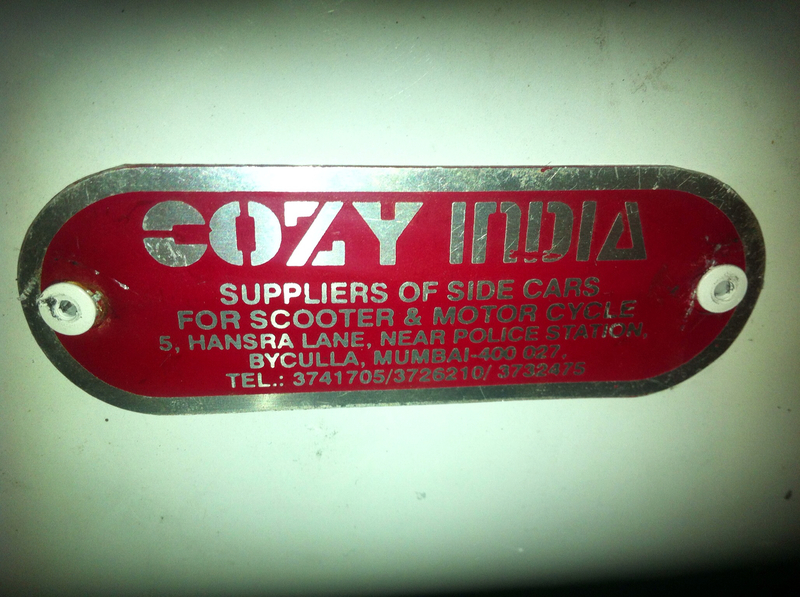 The two small holes below the front sidecar turn signal and on the rear are mounting holes for the Cozy nameplates. The plates were in a plastic bag in the trunk and the holes had rivets filling them. I drilled out the rivets to put the plates in place. 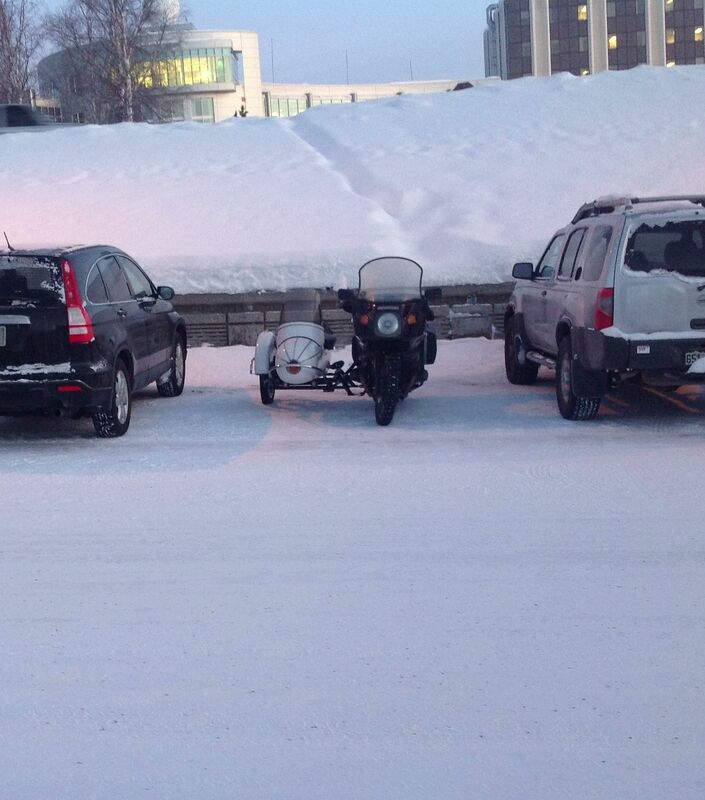 The one on the rear has the street address of Cozy in India as "Just past the Police Station". This iPhone picture was taken at the same time as the others but it came out underexposed. Not sure why. Maybe I switched to a different camera app. I did notice some low speed wobble that I may have originally thought was simply the icy, bumpy road. 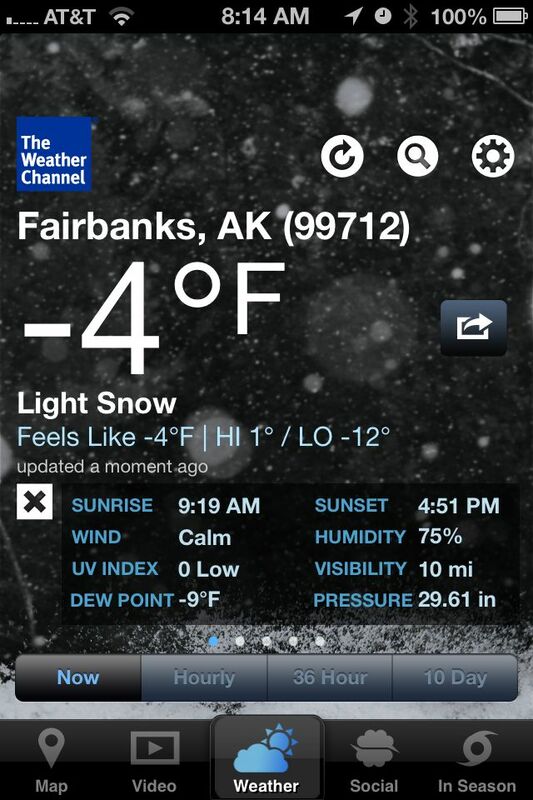 It occurs at around 10mph and isn't an issue at this time especially with the slippery roads. These last two pictures were taken on another test ride around 5pm after adjusting the height if the sidecar. It is now pretty close to sunset at this time of year. The bike is at the same location as the previous photos but there isn't much daylight left. You can see the small white LED marker lights I added to the sidecar as well as the parking light on the motorcycle. The bike is old enough to still have a separate headlight switch which I like. 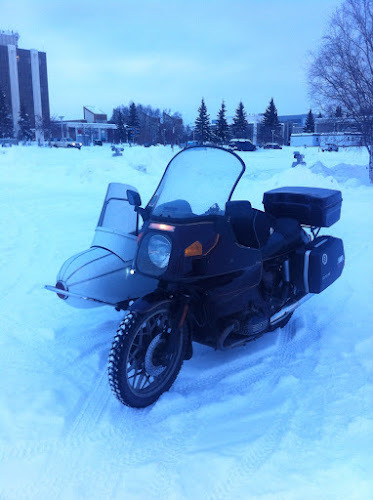 It's nice to be able to turn off the headlight when cranking the engine especially with our colder temperatures or when the bike is just idling. 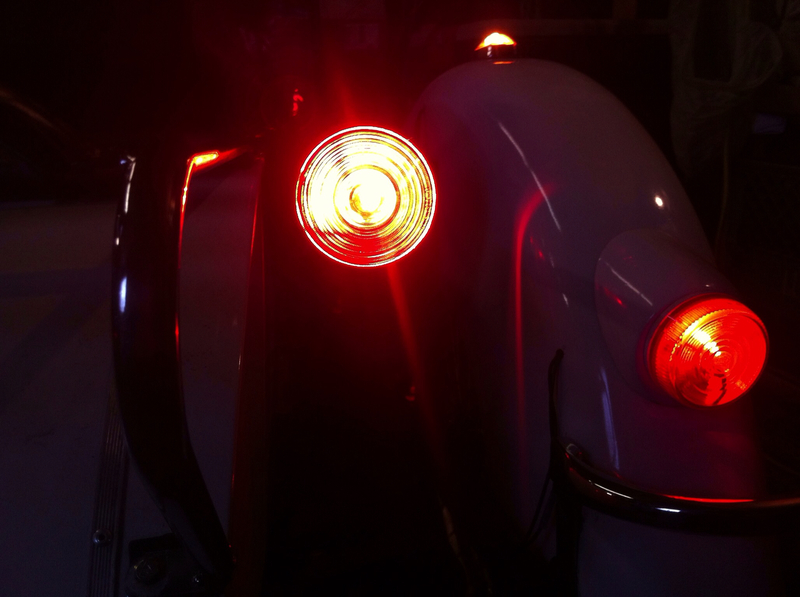 I'm not very satisfied with the behavior of the new tail/brake/right turn light. The trailer light converter dropped the voltage too much so the turn signal and the brake light were pretty anemic. 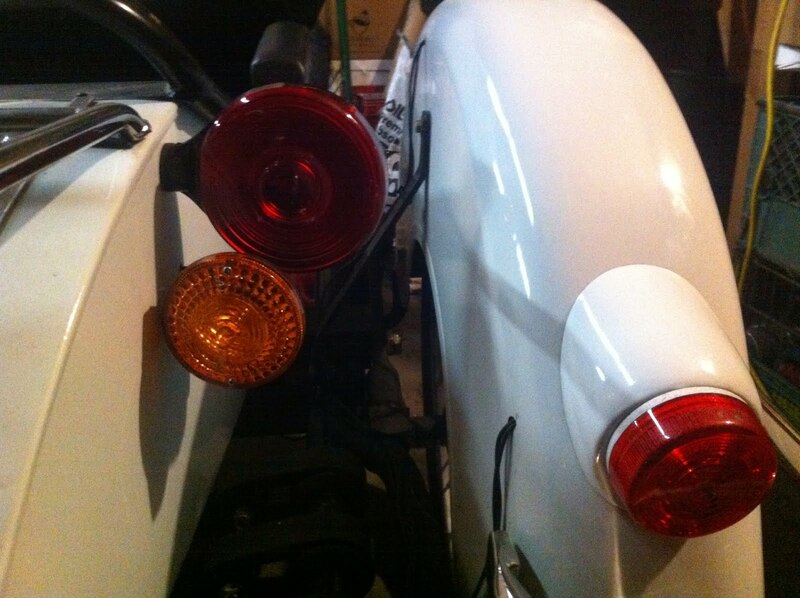 I removed the converter and turned the new red light into simply a tail/brake light and for now, put the bulb back into the right turn signal on the bike until I can find a nice, bright amber turn signal for the sidecar. Sunday was really warm with temperatures venturing into the 20s (°F). 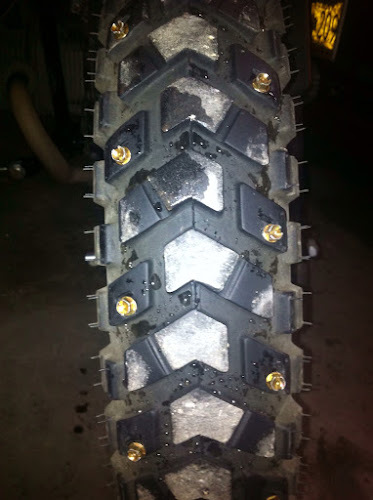 This really made for slick roads so the studded tires got a good workout. It'll be interesting to see how many of the studs are still there. 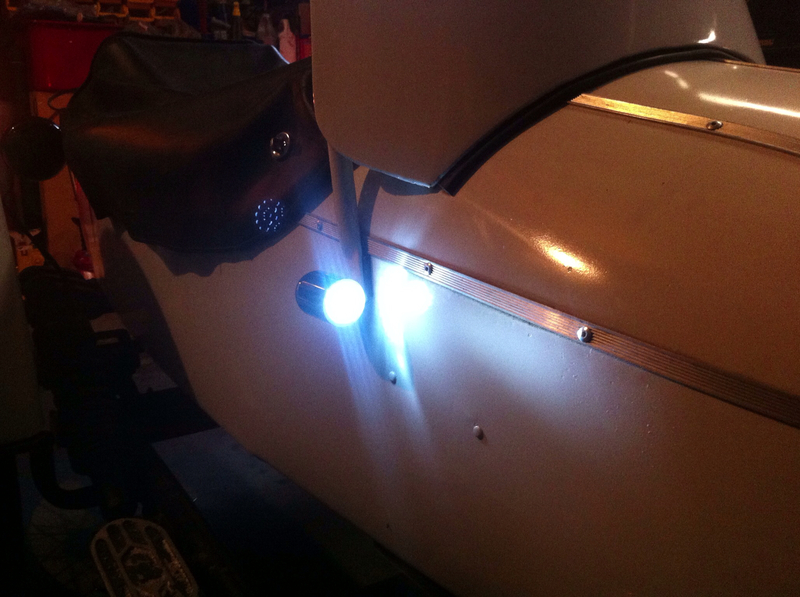 Last night and this morning, I finished working on the lighting for the sidecar. And what do you do after any work on a vehicle, you take if for a "test drive". 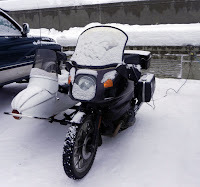 I had been siphoning gas out of the motorcycle this winter to run the snowblower so I figured I needed to refill the tank rather than have it run out when I least suspected it. After a fair amount of snow the last couple of days, it was nice to have a little sunshine today. 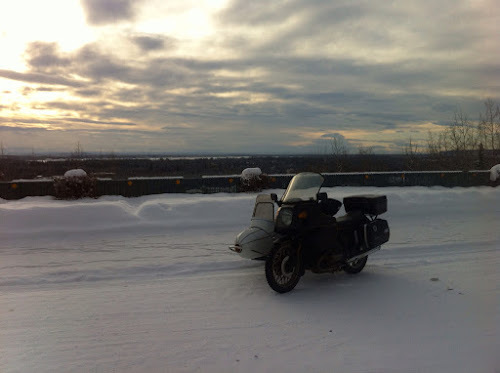 This was taken at a turnout with a view of the Alaska Range (too cloudy to see much), and after a lot of running around on back roads, I headed back home. This was on a major road for the area and I was able to easily maintain the speed limit of 50mph. The standard RT gearing is too high and I suspect that fifth will never get used. I had mentioned in a previous post that I had ordered some LED turn signals and received white instead of amber. Rather than returning them, I just used them on the front of the sidecar. I replaced the windshield mounting bolts with the mounting bolt for the lights. The lights have are on low whenever the bike is running and the light on the right also functions as a right turn signal. I think these lights may help my visibility to other drivers, maybe. 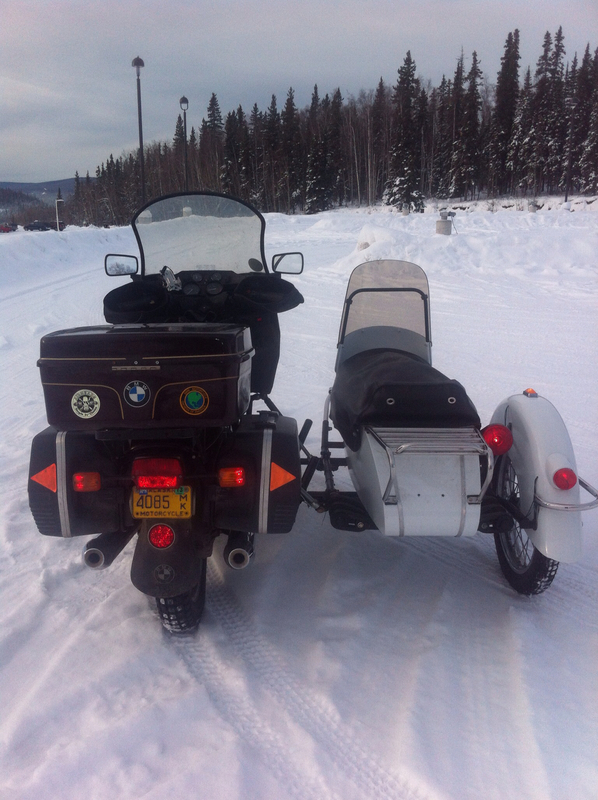 This is my solution for the rear of the sidecar. 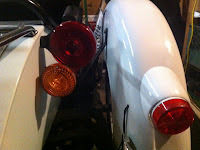 The amber one near the top is mounted to the sidecar fender and is a marker/running light. The light on the lower right is the stock tail light and continues as such. The large light is mounted to the side car body with the wiring in the trunk and is a tail light, brake light, and right turn signal. I think I still want to add an amber turn signal since I think that the amber ones are a lot more visible. At least at this time of year, I must be more visible due to all the waves, smiles and thumbs up from drivers and pedestrians. 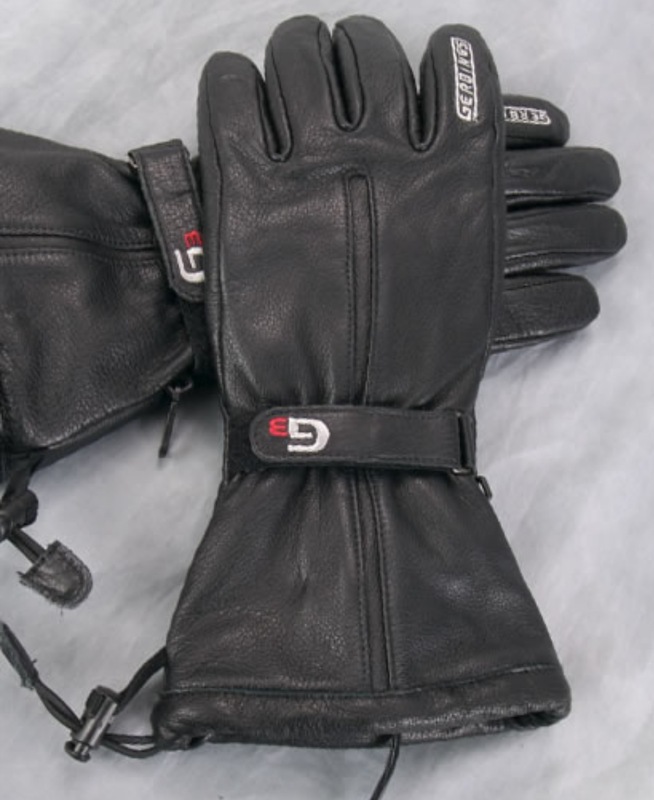 I had many options to keep my hands warm today, the handlebar muffs do a good job keeping the wind off your hands and you may have noticed the elastic band around the grip. 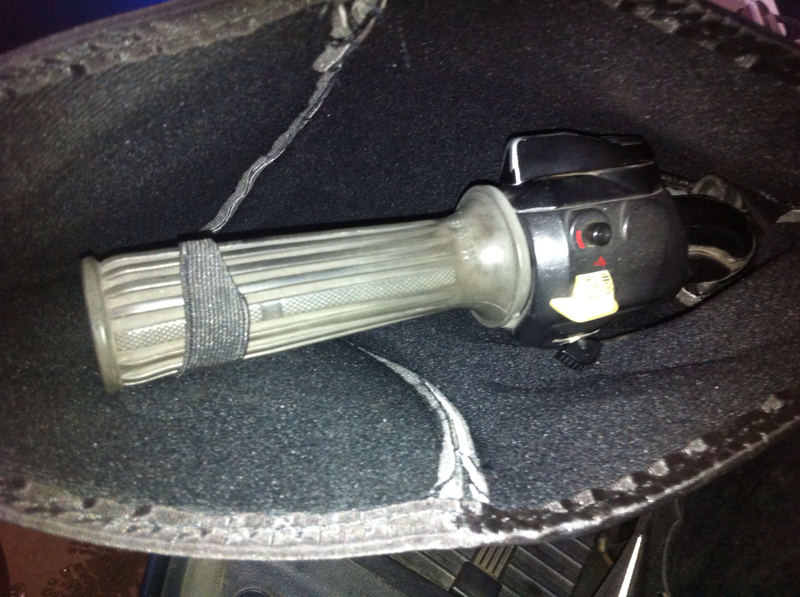 This is attached to the muff and keeps it from touching the levers. The openings are large and it's easy to get your hand in and out, something I had to do often as my visor would fog up anytime that I stopped. The heated grips worked too well and I had to turn them off since they were too hot. Maybe I should look for the resister for the "low" setting. Since it was a moderately warm day at 10°F, the gear didn't get a very thorough test. Only about 30 miles of running around today and the studded tires worked great especially on the snow covered roads. Braking was decent and I still haven't felt any of the low speed wobbling that I've been warned about. Maybe the slick roads mask any instability. Even after only 30 miles, I can still feel that I got some upper body exercise. This may be just what I need to go with all my walking. It is incredibly handy to simply throw stuff into the sidecar. You may notice in the first picture that I have my top box installed. It mounted simply to the Reynolds rear rack like it was made for it. No clamps just bolts into the existing holes with some fender washers.